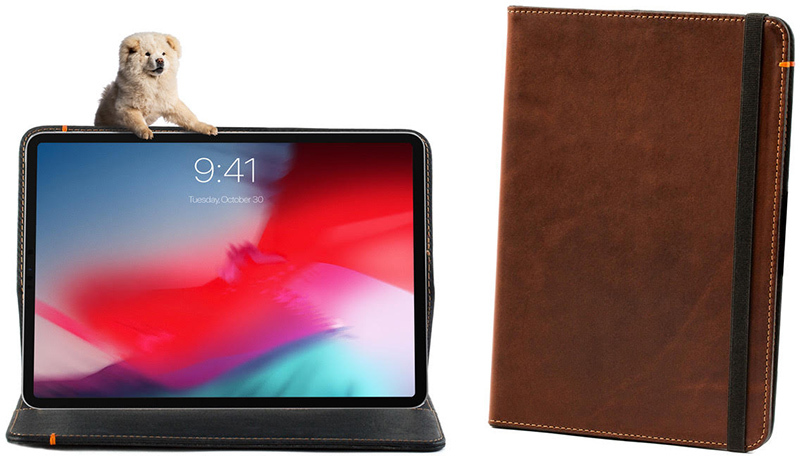 For this week's giveaway, we've teamed up with Pad & Quill to offer MacRumors readers a chance to win one of the company's high-quality carefully crafted iPad cases made from materials like leather, linen, and wood. 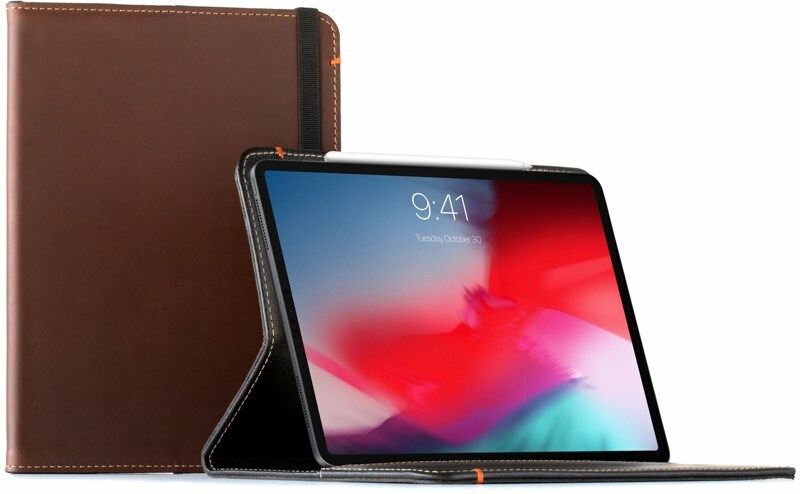 Pad & Quill has multiple iPad case options available, including several cases for the new 11 and 12.9-inch iPad Pro models. The Oxford Leather iPad Pro case, priced starting at $114.95, is made from full grain bridle leather in chestnut, whiskey, or black. Designed specifically for the latest iPad models, the Oxford case is a folio-style case that can protect both sides of the iPad when closed. One side of the case attaches to the iPad using a strong 3M adhesive material. 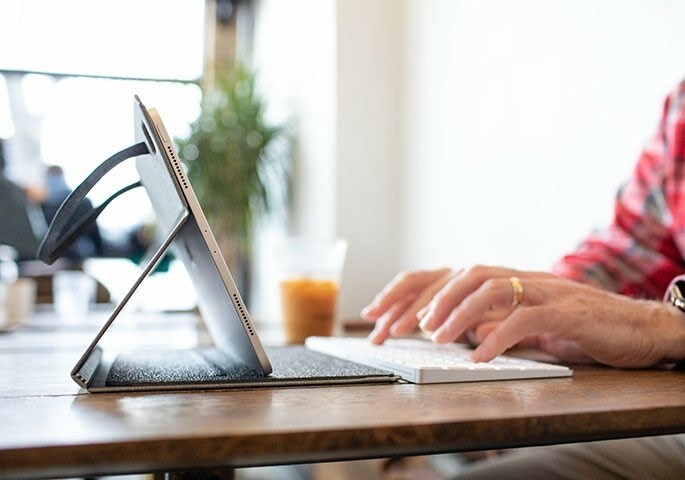 When open, the Oxford case has a built-in horizontal viewing stand and it is able to work with the Smart Keyboard Folio that comes with the iPad Pro, so you don't need to sacrifice your keyboard to use this case. There's a spot for the Apple Pencil 2, an interior pocket for documents, and an elastic strap to keep everything safe when it's closed. Pad & Quill also has a second folio case for the new iPad Pro models, the Contega Thin. Priced starting at $89.95, the Contega, which is one of the thinnest iPad Pro cases from Pad & Quill, is made from an archival linen in a charcoal or gray color. The Contega, like the Oxford, features a built-in horizontal viewing stand when open and attaches to the back of the iPad with 3M adhesive. It too is compatible with the Apple Smart Keyboard Folio, so you can use the keyboard with the iPad Pro while still having the protection and benefit of the Contega case, and it features space for the Apple Pencil 2 along with a magnetic sleep/wake feature. Along with cases for the new iPads, Pad & Quill also makes Oxford, Contega, Contega Thin, Heritage, and Traveler cases for older iPad models such as the 10.5-inch iPad Pro and the 6th-generation iPad, all of which can be viewed on the Pad & Quill website. If you're in the market for an iPad case, this weekend is a good time to buy from Pad & Quill. The site is having a special sale and event, with 15 percent off every order available with the promo code "Family15." Pad & Quill is also giving away a free small journal to every customer who is able to find the Pad & Quill mascot, Philbert the Chow, on the P&Q website when placing an order. Mention where Philbert was found on the site and you'll get a small journal with your order at no cost. For our giveaway, Pad & Quill is providing five iPad cases that MacRumors readers can win. Each winner will be able to choose their favorite iPad case from the site. To enter to win, use the Rafflecopter widget below and enter an email address. Email addresses will be used solely for contact purposes to reach the winners and send the prizes. You can earn additional entries by subscribing to our weekly newsletter, subscribing to our YouTube channel, following us on Twitter, following us on Instagram, or visiting the MacRumors Facebook page. a Rafflecopter giveawayThe contest will run from today (November 30) at 11:00 a.m. Pacific Time through 11:00 a.m. Pacific Time on December 7. The winners will be chosen randomly on December 7 and will be contacted by email. The winners will have 48 hours to respond and provide a shipping address before new winners are chosen. Don’t knock the way it connects guys. They make a screaming high quality product. I won an iPhone case years ago and have bought them every phone since. Top notch stuff. The adhesive hasn’t bothered me with their past products but this one does. If you don’t want to use Apple’s folio keyboard then it’s fine. 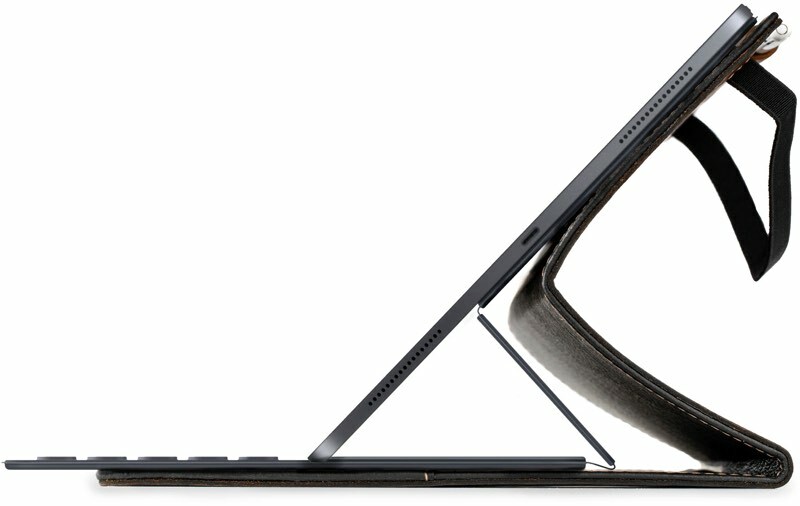 However, who would want to double the weight and thickness by attaching P&Q’s cover on top of Apple’s keyboard? Makes no sense. P&Q would have already had my money for this cover had they just used magnets like Apple chose to do. That way their cover could be easily removed multiple times each day or as needed without requiring the user to buy additional adhesive strips from them. Just makes no sense to limit user experience. By doing this they’ve limited who would purchase their product. They do make incredible products though. Oh, and the Apple keyboard overhand just looks dumb to me. Seems like that overhand would cause flex bounce while typing. Sticky Strips again, that’s a hard no. For the price, you would think they could come up with something better. If I win, I’m going to throw it in the trash.